One of the early games on the Sunday slate of Week 1 pits the San Diego Chargers against the Kansas City Chiefs. While it’s still May, it’s never too early to get ready for the upcoming 2016 NFL season. Who has the best odds of coming away with a 1-0 record from this matchup? A preview and prediction are below. Clearly, the Chargers had a much busier offseason than the Chiefs. This did not come as a surprise, considering the Chiefs are $2 million over the salary cap, due to some major contracts on the team such as Justin Houston, Alex Smith, Jeremy Maclin, etc. The good news for them, however, is how well the team gelled last year as they capped the season with a 10-game win streak, and a playoff victory. The Chiefs are still a team to be reckoned with, even while losing a few starters and only adding likely one, maybe two. But the Chiefs did do most of their work in retaining the talent on the team. Travis Kelce — or mini-Gronk, depending upon who you ask — was signed to an extension. Eric Berry was franchise tagged. 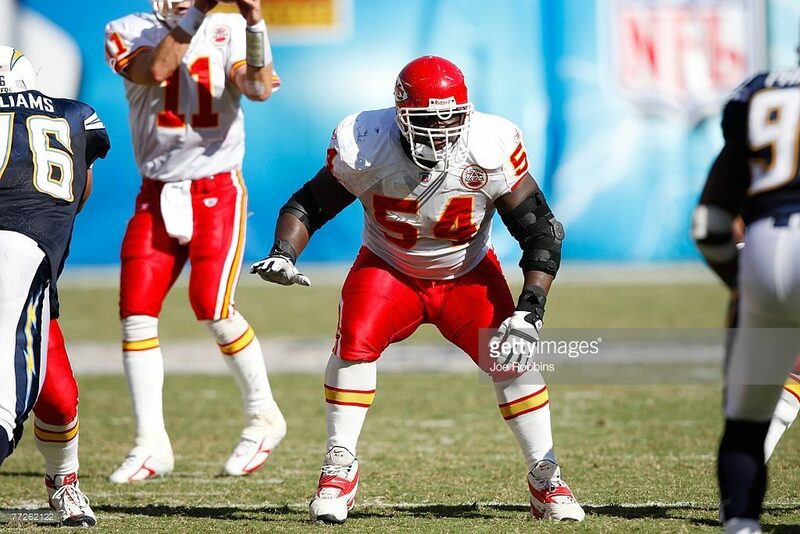 Tamba Hali and Derrick Johnson, two veteran presences on the defense, were re-signed. And they were able to bring in the versatile Schwartz, who has the ability to play several different positions along the offensive line, and will likely take over for the departed Stephenson or Allen, wherever he ends up being needed most. Kansas City’s biggest loss may have been offensive coordinator Doug Pederson, who’s now the head coach of the Philadelphia Eagles (coincidentally, Andy Reid’s former team). While the offensive system being used won’t change much because it’s Reid’s, Pederson played a big role in the success they had on that side of the ball even when Jamaal Charles went down with a season-ending injury. Fortunately for the Chiefs, Charles is back and that defense should still be as dominant as it was last season once they got rolling. Their AFC West rivals, the Chargers, on the other hand, went all out this offseason, trying to remedy issues all over the place. Personally, I think they made a mistake choosing Bosa over Laremy Tunsil — yes, even with the stupid video that was hacked onto his Twitter; quite simply, Tunsil would have made a massive impact on San Diego’s offense protecting Philip Rivers from more mayhem while also jump-starting a pathetic rushing attack from last year. That said, Bosa will still be an important piece for them. While the Chargers defense has been solid in recent years, it hasn’t had very many playmakers — and the one that they did have in Weddle is now in Baltimore. Thus, Bosa, Heyward, Mebane and Lowery will all be crucial additions in 2016 to potentially bring that unit to a level it hasn’t seen since Shawne Merriman was in his prime. While the Chargers didn’t add a franchise left tackle, they didn’t completely ignore their pitiful excuse of an offensive line. Slauson was picked up after his surprise release from the Chicago Bears, and he’s still one of the better guards in the NFL today. They also drafted a rookie center in the third round who has good size and potential. Not to mention, they will be getting several players back from injury, which was their main issue in 2015. Currently, San Diego has 17 offensive linemen on the roster, which means there will be plenty of competition in training camp and the preseason. Finally, let’s not forget two excellent weapons added to Rivers’ arsenal in Benjamin and Henry. Ladarius Green left town in free agency, which makes Henry the No. 2 to Gates, and, soon, the successor. Benjamin also had a phenomenal season last year, and that was with a mediocre carousel of quarterbacks. With a Pro Bowler like Rivers, he could become a dynamic big-play target, especially with Keenan Allen coming back from injury starting across from him. Prediction: The Chargers did improve quite a bit this offseason on both sides of the ball, and getting back so many guys from injuries will help, no doubt. But will it be enough against a Chiefs team that proved to be one of the most consistently solid in the NFL last year — and at Arrowhead, no less? San Diego will definitely make it interesting, and I’ll bring up this point to show why the 7.5-point line is a bit asinine: the Chiefs started 2015 1-5. They were not good early in the year. Was that just a fluke, or is it a pattern based upon their personnel? I think this game will be very close, with the Chiefs winning by three or less.